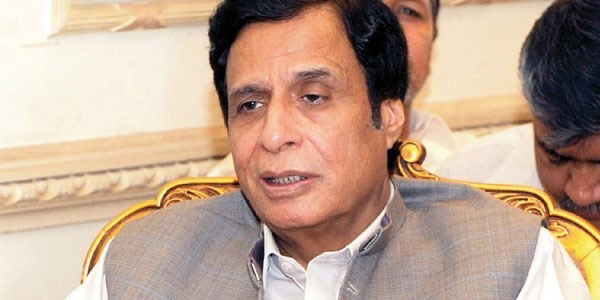 In the backdrop of PPP-PML-Q electoral strategy, a decision has been made to hand over political trench of Punjab to Deputy Prime Minister Pervez Elahi to give a tough time to the PML-N in the province. Well-placed sources said consultations were held at length during a series of recent meetings between President Asif Ali Zardari, Chaudhry Shujaat Hussain and Chaudhry Pervez Elahi over political strategy for contesting upcoming general elections in Punjab. It was agreed during these meetings that Chaudhry Ahmad Mukhtar and Chaudhry Wajahat Hussain would be awarded tickets for NA seats in Gujarat. There was convergence of views among the leaders of both parties that the PPP and PML-Q would jointly participate in the next election. Elahi would be tasked with leading the electoral campaign against the PML-N and a mechanism had been evolved in this regard. On the other hand, the PPP would lend full-fledged support to PML-Q to muster masses’ support from Punjab and in this regard, the ongoing development projects in all districts where the PML-Q had better chances of winning would be completed soon. The sources said Zardari had directed party leaders to launch political activities with full force in connection with preparations for elections. The PPP manifesto committee had also been directed to give a final shape to the manifesto with reference to general elections. Sources said President Zardari had convinced the Chaudhry brothers that Minister for Water and Power Chaudhry Ahmad Mukhtar would be fielded as joint candidate from NA-105 and Chaudhry Wajahat Hussain from NA-104. The decision to award tickets on seats of important districts, including Gujarat, would be taken after consultations. PPP should fight the elections not only in Punjab but all over Pakistan on their own. What is this strategy, that the match has not even started and you are giving up your right to battle it out on your own and face the opposition on qouta basis. WRONG. ZAB would have never taken this approach or for that matter BB would have put the PPP leaders in every corner of the country to take a chance to win. Not every PPP leader could win, so what. Let the opposition win some seats, but do not give up the chance provided by the voters to your leaders. Yes, Chaudharies and other leaders have influence but PPP's compromising policy on seats is incorrect.